Space technology supplies humanity many benefits since the launching of the first artificial satellites in the ‘50’s, even though they are not always perceived by most population. Focusing on health issues, there are two big areas of contact between Health and Space Technology. The first one is called Telemedicine, which tries to find profit through the transmission and monitoring of remote parameters for the attention of patients, the second is known as Landscape Epidemiology or Spatial Epidemiology, where the artificial satellites’ capacity for earth observation is used to monitor the environment and its influence on the population dynamics of disease vectors or reservoirs. Based on the use of satellite information, a whole area of knowledge appears (geomatics) which can be applied to human and animal health. In the presentations (that could be tuned at different levels and times) we propose including basic concepts of this novel discipline, and a historic review about top works and groups. We also plan to include some useful concepts on remote sensing data (Landsat, Spot, Modis, SAR) and some methodologies together with associated modeling approaches. Finally, the idea of integrated operative systems for early warning, surveillance and control based on user’s requirements and geomatic tools will be discussed. In order to generate operative systems useful for the community, similar concepts are used in different kinds of threat like Floods, fires etc, building risk mapping and disaster response. Carlos Marcelo Scavuzzo, Ph-D in Physics from the University of Cordoba on atmospheric physic and cloud modelling, with a Post-Doctorate degree at Ecole Polytecnique of Paris, France. At present he is a Professor at the National University of Cordoba, Argentina, and part of the disaster response team in the Argentinean space Agency. He develops his teaching activity at under-graduate and postgraduate courses for Physics and Computer science at the Faculty of Physics (Famaf, UNC). He has offered numerous courses on remote sensing applied to health issues at the Gulich Institute as well as at international meetings. He has published resource material for under-graduate and postgraduate courses, including a tutorial Book for the course “Estadística Aplicada ao Sensoreamento Remoto”. Since 1997 he was in charge of health application to human health program of the National Commission on Space Activities, developing an active task of scientific and pedagogic releases in addition to establish operatives programs in cooperation with the National Health Minister. He was Head of the Space Applications ar ea at the Argentinean Space Agency from 2008 to 2013 with a strong focus on issues related to SAR images and Natural Disaster Management applications. He is co-founder of the Panamerican Tele-Epidemiology Group. Since 2010 he’s Head of the Advanced International Training School on this subject, whose latest edition was held at the Gulich Institute on May 2014. 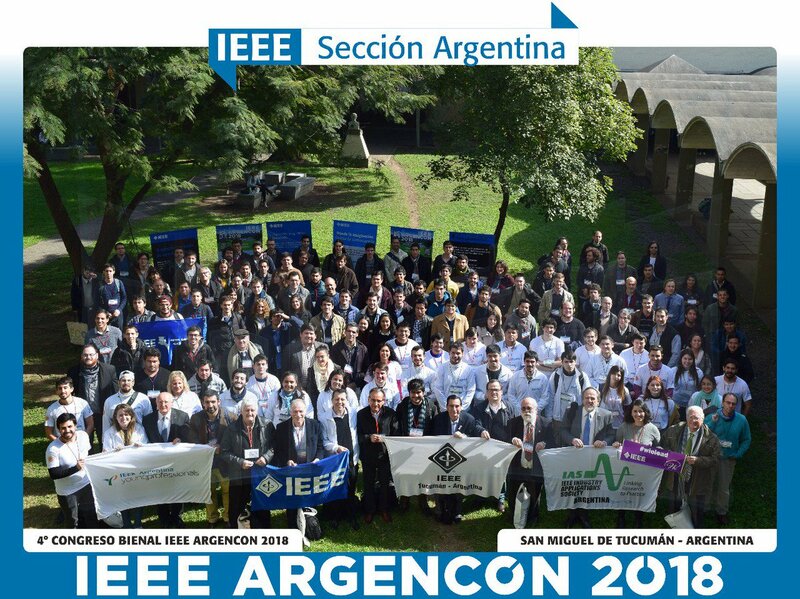 From its creation in 2007 to 2014 he was a head of the first postgraduate program of the Argentinean Space Agency on Emergencies Early Warning Response Space Applications. Jueves 16, 14:10hs. Aula Magna. Universidad Tecnológica Nacional – Facultad Regional Buenos Aires. Buenos Aires, Argentina. Thursday 16, 14:10hs. Aula Magna. Universidad Tecnológica Nacional – Facultad Regional Buenos Aires. Buenos Aires, Argentina.